Looking for a smile that suits your personality and makes you look youthful and confident? You’re at the right place. At North Beach Dental in North Beach Dental Surgery. You have a perfect personality. If you feel that the only thing lacking is a perfect smile, come to us in North Beach. It's for the entire family! Your oral health needs will change throughout your life. 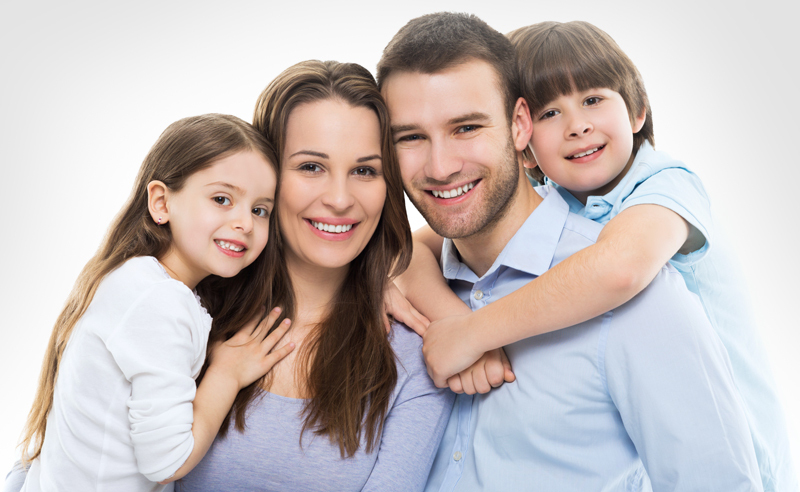 Our dentists are here to support you and also provide care to all your family members. We have a compassionate approach and can handle the needs of children as well. Bring in your kids and our dentist will talk to them about healthy oral practices. It’s a good idea to bring your children for a check-up when their first tooth erupts or when they are two years old. This will help us keep a track of your child’s well-being as your family dentist. Bridges: When we extract a tooth, the other teeth start shifting. To stop that from happening, we recommend the installation of a bridge. Bridges are used for other purposes as well. Crowns: If your tooth has been fractured or if you have received a root canal treatment, we will recommend a crown installation. Dental implants: Get your missing tooth replaced with a dental implant that is installed permanently in your jaw. Implant retained dentures: If you need to replace multiple teeth, the best option is to get implant retained dentures that act like real teeth. Zoom teeth whitening: If your teeth have lost their colour or have been tarnished by smoking, coffee, or wine, you can get the best teeth whitening options here. We have all kinds of services in Waterman’s Bay to make sure your smile shines perfect bright white. No matter what kind of aesthetic oral problem you have, our experts will make sure you get the desired results. It's completely understandable. A lot of people panic at the thought of going to the dentist. This generally happens because of a bad experience in the past. Our team will take care of you and help you get a positive outlook towards the dentist experience. We have treated several nervous patients and we understand them completely. If you're feeling anxious, you can discuss it with us. We will calm you down by discussing our processes with you in detail. You have a perfect personality. If you feel that the only thing lacking is a perfect smile, come to us in Waterman’s Bay. We will discuss and find the right solution for your needs.